Triggered emails are marketing emails that are sent in response to specific actions. They are automated and can be set up to keep your brand in the forefront of your customers’ minds. Abandoned Basket: This is sent when the customer leaves the site before completing their purchase but after inputting contact details. 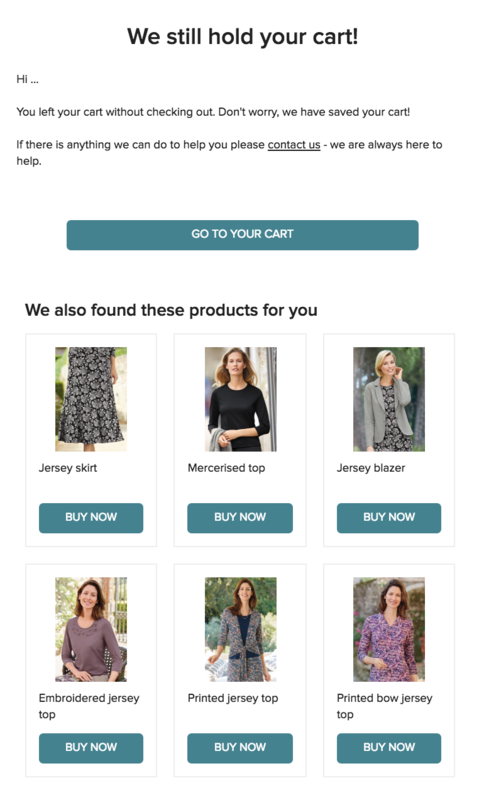 When this happens, you can set-up interval email flows at predetermined time slots, for example 30 minutes, 6 hours and 24 hours after the customer abandoned their basket. 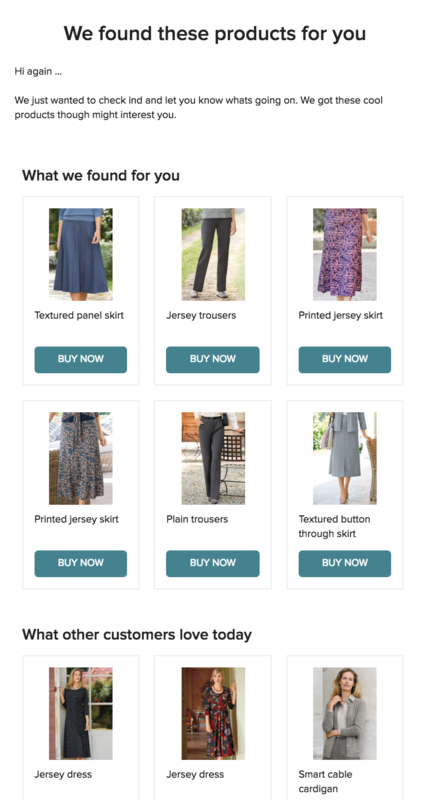 We have found that instead of showing the customer the same item that they left in the basket, showing items related to click history is more likely to convert as they maybe weren’t sure about the items they left behind. 3. 180 days: "We Miss You" - Recommendations based on their last order including great offers or even a coupon. You can mix and match to suit your style best, but this is an easy way to start. Newsletter sign up response: Many stores miss out on potential sales and building brand awareness by not using this response. 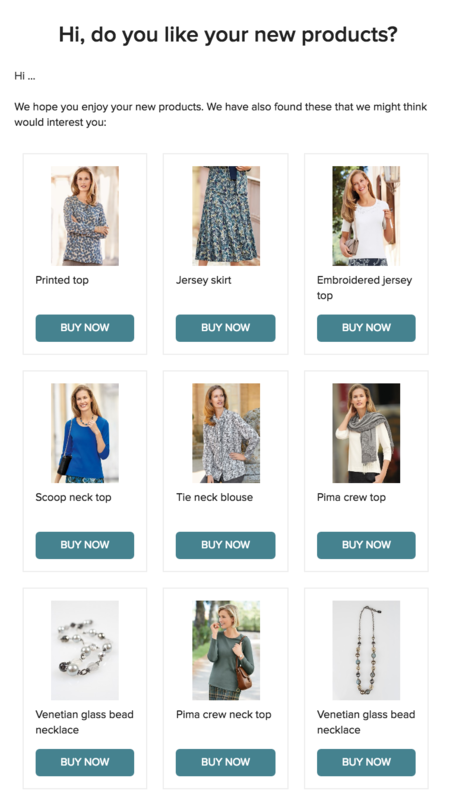 When a customer first signs up for your newsletter, it is a perfect opportunity to introduce your brand as well as some popular products. Keep information to bite-size nuggets to stand out against the competition but also to keep the recipient interested. And these aren’t the only types of trigger emails. You can get creative and try other types too, we’re always interested to see what you come up with. A section of the newsletter welcome flow.